Vasco Pay is a safe and secure way to shop online or for everyday use, saving you time and money! Vasco Pay is a safe and secure way to shop online or for everyday use, saving you time and money! A personalized prepaid re-loadable card to use wherever Visa is accepted. CJ Henderson and Vasco Pay’s Managing Director Leo Borovilas have partnered to offer ABA fans and Vasco Pay customers some really cool incentives for using the card. 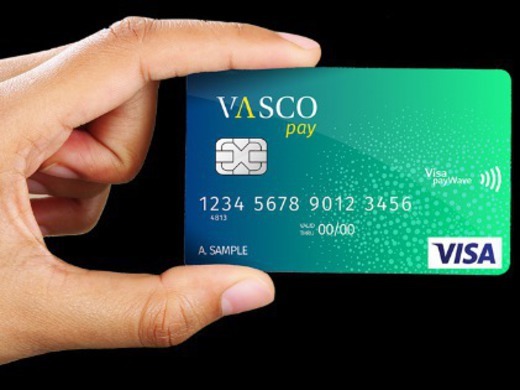 The Vasco Pay Visa Card is linked to lots of Australian Retailers and the ABA League Australia has Retailers on board that will also offer specials to Fans using the card. The ABA will also have halftime events for the card once the season starts where a card holder may be called out to make a half-court shot and get a prize loaded to their card! CJ Henderson of the ABA will be encouraging all fans to get the card **While It’s FREE ** unlike cards you get from the other outlets where you must pay for the card or load it right away before you can leave with it the Vasco Pay Visa takes only 3 or 4 minutes to order and comes personalized with your name and no purchase needed until you decide to load or activate the card. www.abaleagueaustralia.com Click On Sponsors To See More.